The blog has taken a back burner for the last few months, and we apologize if you've missed a ride because of that. Sometimes it's easier to post rides on Facebook or at bike253.com, but we'll make a better effort to post them here as well. The Water Flume Line Trail ride in March: The toughest part is getting your little riders to South Tacoma. Matt's kids took the lane on Cedar from 19th to South Tacoma Way, which wasn't too bad since there's nearly no car traffic at 10am on a Sunday. The girls used the sidewalk in places of South Tacoma Way and only used the bike lane closer to the South Tacoma business district where the speed limit drops. The trail ride was great. It's about 2 miles from South Park down to the Homestead Restaurant, where we picked up five pies for sharing back at the new playground on 74th St. We had families from the West Side, East Side, North End, South End and maybe other neighborhoods, too. This was probably our most geographically diverse pack of Tacoma riders to date. Ride the Flume! Jr. Daffodil Parade in March: This is our second year riding in this completely non-motorized parade in the Proctor District. It's only four blocks long, but the kids have a blast riding as slowly as possible. 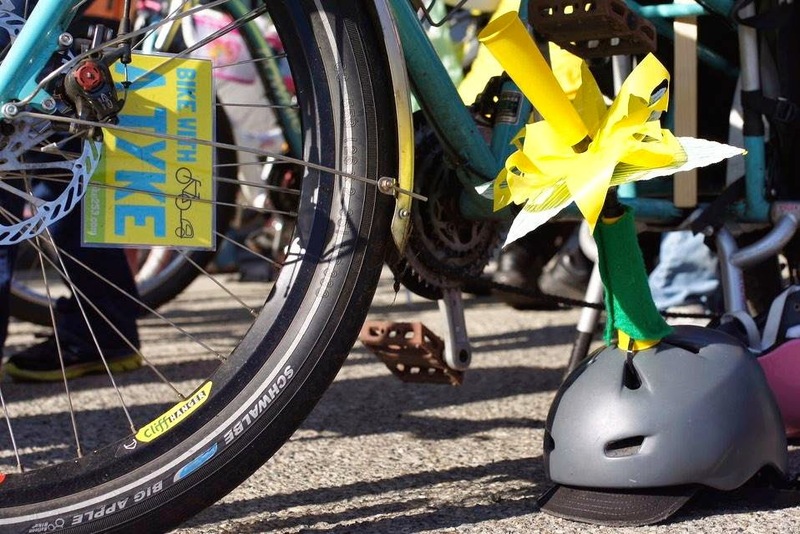 We were busy decorating bikes and waving, but Carla took some great photos! Hilltop Rock'n Ride with Pig Snout in May: Bike Month is huge in Tacoma. There are events nearly every day and our Bike Month ride is usually the biggest crown of the year. We followed the same route as last year, starting at Peoples Park in Hilltop and doing a big loop of the neighborhood down to McCarver Park. We stopped along the way at Tacoma's Oldest Park, where kids protested the City to improve playground conditions back in the 1940s. Be empowered, Kids! We had two little riders that did the whole ride on 12" bikes, one was a no-pedal push bike and the other had training wheels. Big Brother waited anxiously to make sure Little Brother and Mom made it to the playground safely. We had about 100 kids, parents and friends along for the ride and most of them stuck around at 2nd Cycle for an amazing show by Tacoma's rocking family trio Pig Snout. Family bike ride to a family rock show in a community bike shop - doesn't get much better than that! 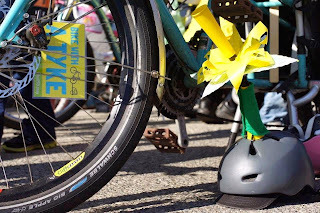 Thanks again to the Tacoma Wheelmen's Bicycle Club for sponsoring us as we get more families pedaling in the street during the Year of the Bike!